It has been a very warm and sunny November so far this year. Yesterday was another lovely day and with a few clouds in the West towards the Rhône valley we had a rather lovely sunset. 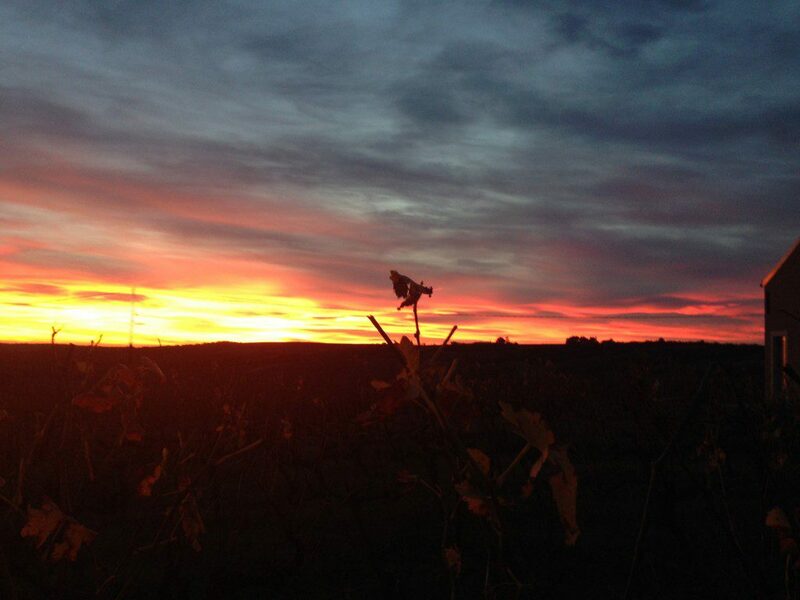 This shot is looking south of West over some of our Grenache vines and just in shot on the right is the winery.